CLOSEOUTS. 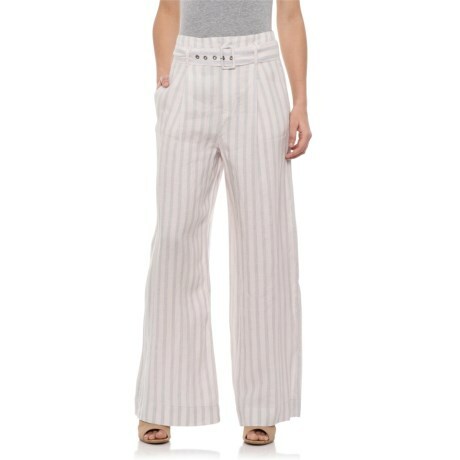 Keep it chic this summer with Rachel Zoeand#39;s blue combo yarn dyed tailored pants, offering the airy feel of wide-leg pants in cool, breathable linen. Available Colors: BLUE COMBO. Sizes: 4, 6, 8, 10, 12, 14, 2.